The ways of the Lord are mysterious! Prayer is the chosen communication that we have with God, and it works. Fasting is some kind of super communication with God, and it works. I give my money to the Lord and He gives back! I try to listen for His voice, and somehow He talks to me. I have trusted Him with my life and I know He has a plan for me. Things happen in life that I don’t understand but I know God is still in control. The ways of the Lord are mysterious because He is so good! Do you know what else is mysterious? The ways of teenagers! Why do they play where the homeless live? Why try to scare them or chase them off? How do they create so much drama? Why is the middle of the street the best place to play? Why do they gather together to play video games on their phone for hours with their friends that are in the same room? Why are they always board? They have everything! Why are the always busy when there is work to be done? Why are they always hungry? How is it that they know everything at such a young age??? Something else that is mysterious; how can a person hate God. Some have never heard of God but their actions still expose their hate for what is good. Some have chosen to hate God and everything about Him. What is it that makes us so rebellious toward God? I wanted to show a video of a very angry man, Stephen Fry, who has some very difficult but popular questions for God and for us to think about. There is an evil rebellious spirit alive and active in the hearts of all men. We have seen it in the past in the Bible or in History. We can see it in the world around us today as well as in our own lives. We can see that the rebellious things people do now are only leading us to more rebellion in the future. God has a plan to use this rebellious spirit for His glory. God meets our rebellion with His mercy! At our worst God is still at His best! This is the mystery: That in Israel’s disobedience God fulfilled His purposes. The people, who have been called by God, have all His promises, blessings, presence, protection, provisions, favor, mercy, grace, word, identity, glory and so much more by turning their backs on Him would bring the blessing to all nations. The hard heartedness of Israel was the very reason Christ was crucified and so identified the root of the problem: the sin in us. Our disobedience and rebellion required His mercy to set us free. God has never been at the mercy of men rather we have always been at the mercy of God. He was not forced to the cross. So maybe an even greater mystery is WHY would God use man’s rebellion against God to crucify His Son to save His enemies the very people who are in rebellion against Him? There is one and only solution to this mystery: God loves mercy. Do you think that the curse God put on creation was to help us learn about mercy? The people who suffer a disease are much more sympathetic to a person going through a similar situation. Maybe God allows us to suffer in this life to teach us about the consequences of sin and the hurt it brings to other people? When Israel obeyed the Lord everything was good in the land but when they disobeyed Him all things turned for the worse. 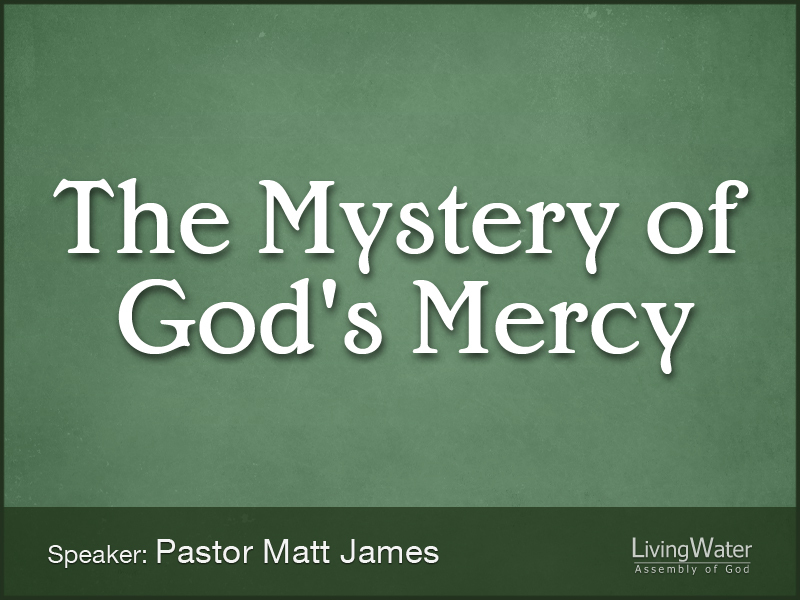 Maybe it is God’s mercy that causes the painful situations in life to bring us closer to God. If God can use our rebellion for His glory then He can use all things for His glory! The rebellious spirit at work in the world is ignorant to this mystery of God’s mercy. A rebellious spirit does not stop to listen to or understand God. We have been bound to this rebellious spirit so God can fulfill His purposes. And the fulfillment of God’s purposes is to replace the rebellious spirit in our lives. Our Deliverer will come through Zion and take away the sins of Israel. Through faith in Jesus we are sons of the promise given to Abraham and we receive mercy! We receive God’s Spirit that gives life to our spirit, one of love, power and discipline. This is not because of our disobedience BUT because of His mercy! We have been bound to our rebellious spirit so that God is able to have mercy on us! We are held accountable to our rebellion IN ORDER THAT we would recognize our sinfulness and turn to God for mercy! That we are no longer bound to a rebellious spirit nor to the curse! That we now have the Spirit of God and can call on His mercy!